I'm fairly new to the "brow game". I was always sceptical about filling in my eyebrow in, but after a few goes I was hooked. Good brows can really make such a difference to how your face looks. My brow routine varies from day to day depending on the makeup look I'm going for with the rest of my face, but at the moment I'm going through a bit of a phase of pencilling them in. 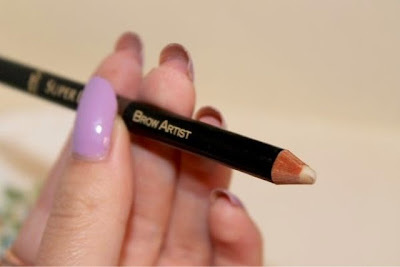 Since I've been doing this most days, I've been looking far and wide for a brow pencil that helps me to achieve a more natural look rather than a scouse-brow style horror. My go-to products at the moment are the "Topshop Brow Pencil" and the "Rimmel Professional Eye Brow Pencil" but - in true beauty blogger style - I'm always up for trying something new, and that's where the L'Oreal Super Liner Brow Artist came in. The pencil itself is double ended. At one end, you'll find the coloured pencil to fill in your brows, along with a handy brow-tamer, and the other end is home to a clear wax to fix your brows in place. Let's get started by talking about the shades. L'Oreal offer three shades: Blonde, Brunette and Dark Brunette. Although I normally follow the "choose a colour one shade lighter than your natural hair" technique, the blonde shade was far too light for me to even consider using it, so I opted for the brunette option. The was a bit of a bad decision as instead of the lovely natural brown shade I'd been expecting, my eyebrows ended up looking like I'd drawn them on with a black sharpie. How lovely. Even after a good ten minutes of trying to remove some of the colour (with a tool kit of cotton buds, brow tamers and spooly brushes), the finished look was literally a million miles away from what I was after. 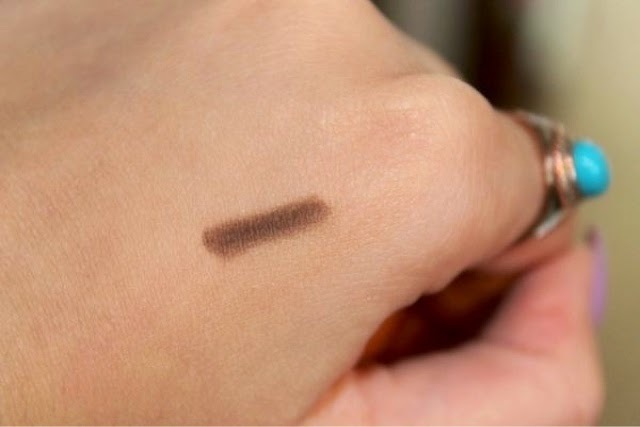 Don't get me wrong, if you're one for a bit more of a bold brow then this product would suit you perfectly as it's so pigmented, but colour-wise it doesn't really float my boat. I am curious to see what the blonde shade is like though, so that may be sneaking into my boots basket some time soon. One key thing I like all of my brow products to do, is last the whole day. I can't be dealing with having to stop whatever I'm doing every two or three hours in order to tend to my brows. I do have to admit, I was pretty darn impressed with how long this product lasted. It's all down to the clear wax that you apply after you've shaped and shaded in your brows. I was slightly apprehensive that the wax may leave my brows looking like I'd coated them in vaseline, but that literally wasn't the case. It left them looking much more natural, and it did really last all day. Just like magic. Overall, although the colour did disappoint me, I was impressed by the product. It is one of the best drugstore brow products I've used, when it comes to longevity, and I feel like it could potentially rival some of the more professional high-end products on the market. 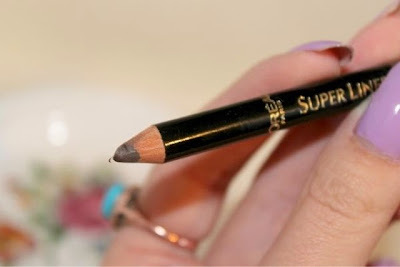 The L'Oreal Super Liner Brow Artist retails at £5.49. Great review. I usually stick to eyeshadow to fill in my brows as I'm terrified of the very filled in sharpie look. Very tempted to buy this though due to it's staying power. Shame about the awful shade range though, fingers crossed the brown one is a decent match for me.